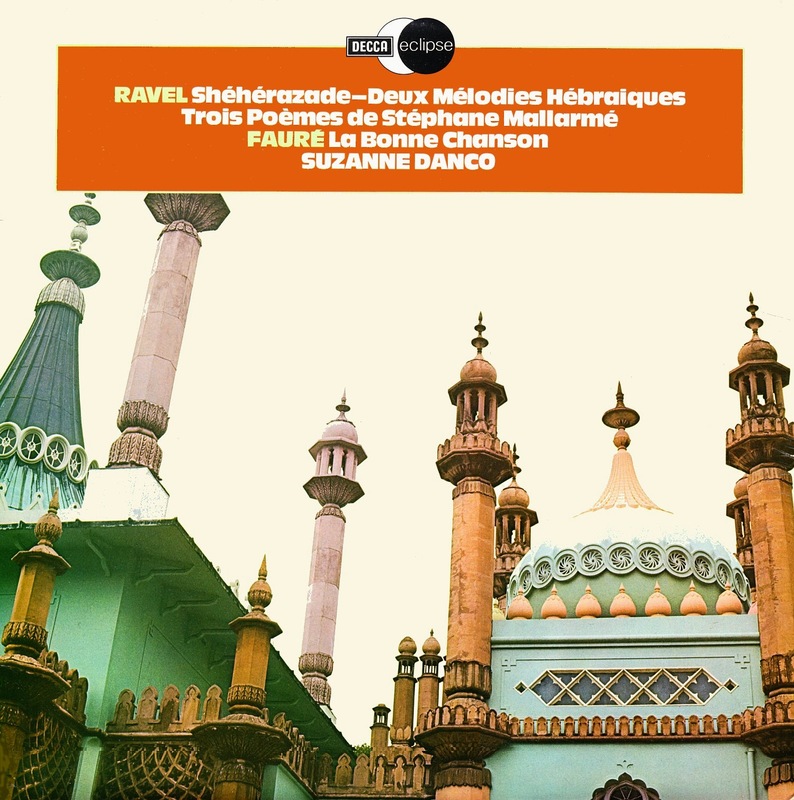 Maurice Ravel: "Sheherazade" / "Trois Poemes de Stephane Mallarme" ** / "Deux Melodies hebraiques"
October 2016: 24/96 files converted to 24/48 - slight (1.5dB) treble added to 'Liederkreis' - a few ticks removed from 'Sheherazade'.. Wonderful voice, beautiful transfers! Thank you very much for these wonderful LP's! Thanks for that great post. In my opinion Danco is the best choice for Sheherazade, better than Crespin with the same forces. 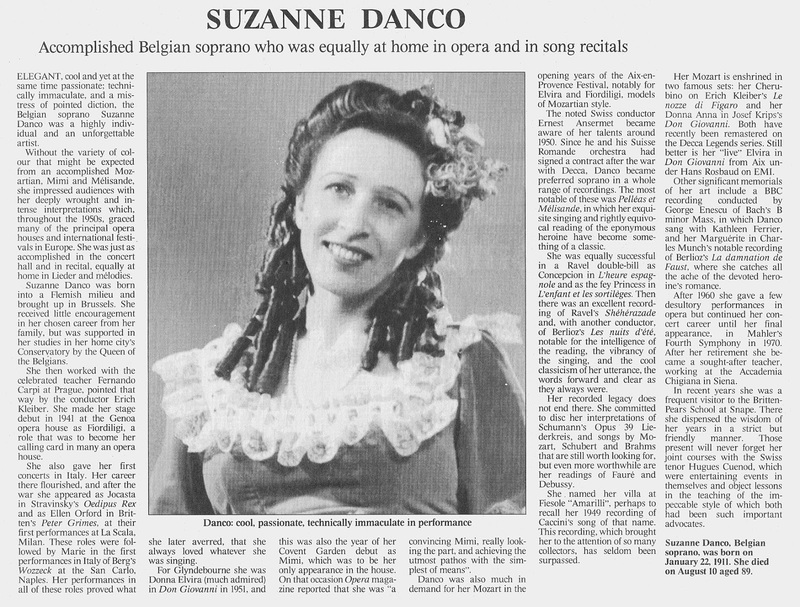 I think she recorded that piece with Ansermet 3 times, 2 monophonic rec (one with Societe des Concerts du Conservatoire, the other with OSR) and one stereo still with OSR. I'll have to take a memory stick to the main computer to see if I agree with you about the transfers (or take the computer to the main HiFi) -as only listen to these transfers on the laptop Sony speaker editing set-up. 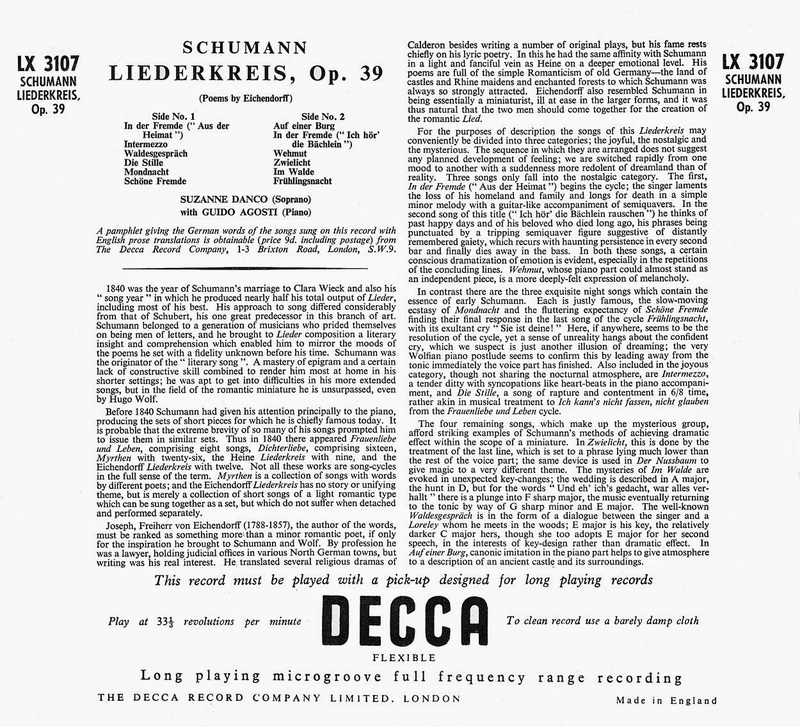 I'd bet the London 12" was rather better than this 10" Liederkreis - which was shocking for matrix-noise: '1.8' de-click (which cleared most of the remaining defects) - using the second JVC X-1 cartridge (of uncertain hours).. 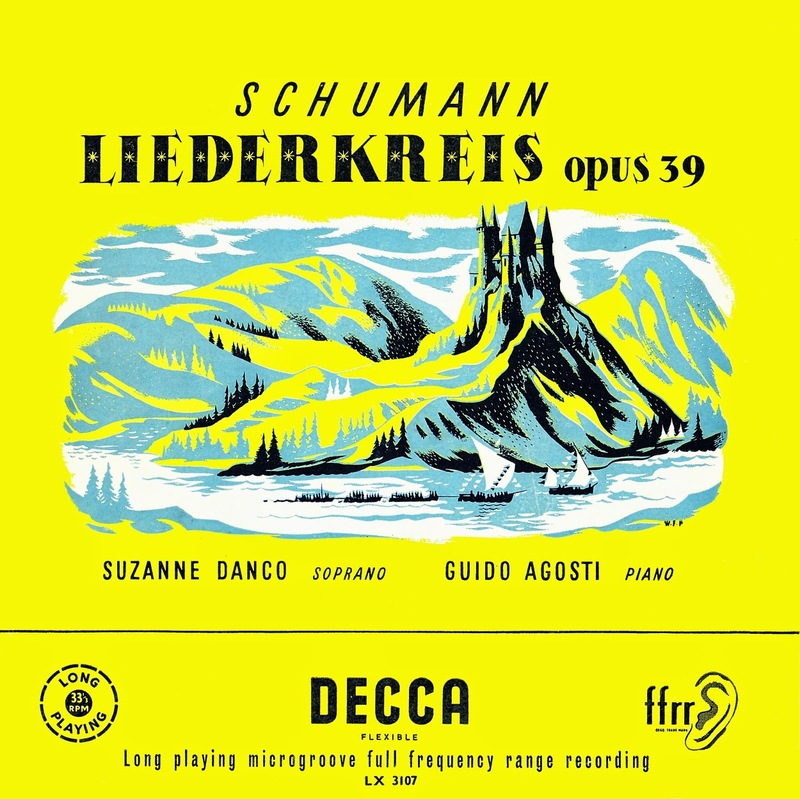 The 2 electronic-stereos folded-down into mono perfectly OK - lost some added 'resonance' that way; but the ECS 'Heure Espagnole' sounds better as 'stereo'. 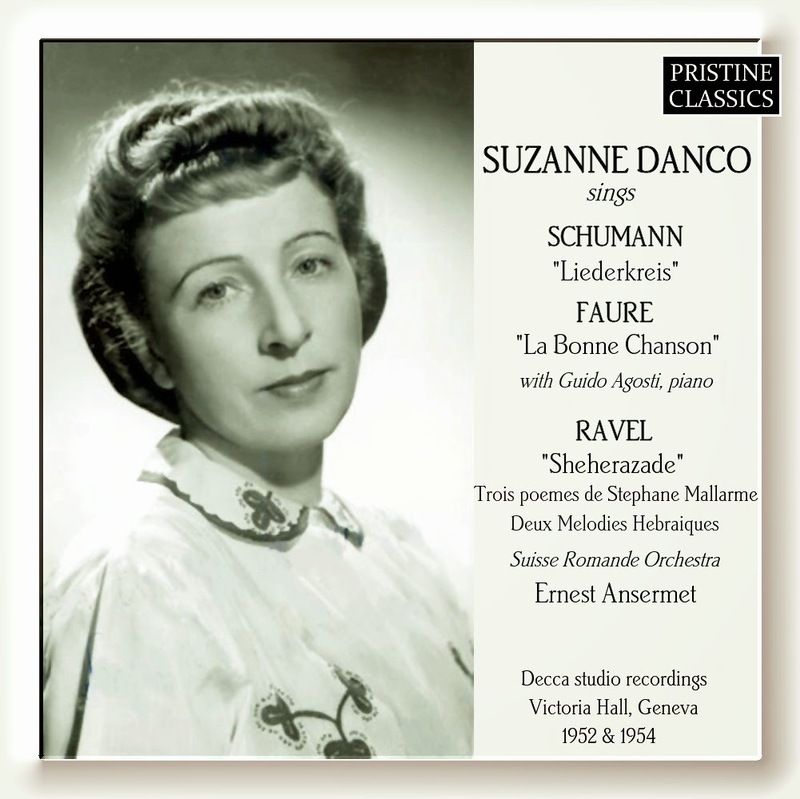 I'd never really listened properly to Danco before - as don't really like the Faure Requiem - and my mint original Erede/SRO is probably another inferior 1951 transfer compared to later - and the Berlioz Cincinnati is very strange sound (sort of impressive, though) of a similar date. THANK YOU! 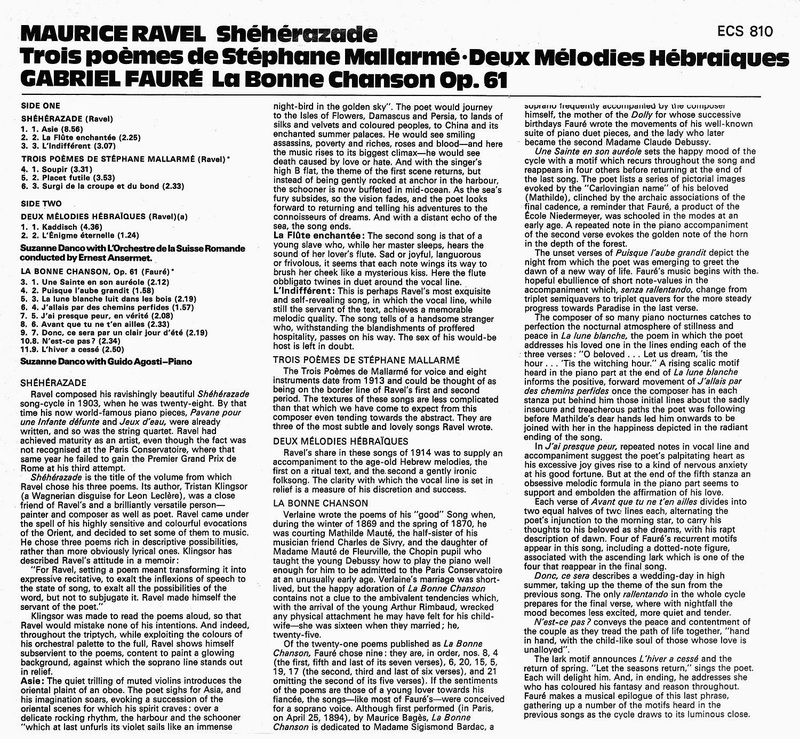 so much_the transfer for the Maurice Ravel: "Sheherazade"
Truly shines on a TANNOY 15" GOLD custom monitor. I've 'suddenly' realized that it has been a long time (and now time to find another hobby)! Will drag the desktop to the main (non QUAD) HiFi/s to check whether some, very infrequent, surface 'blips' are particularly obvious. 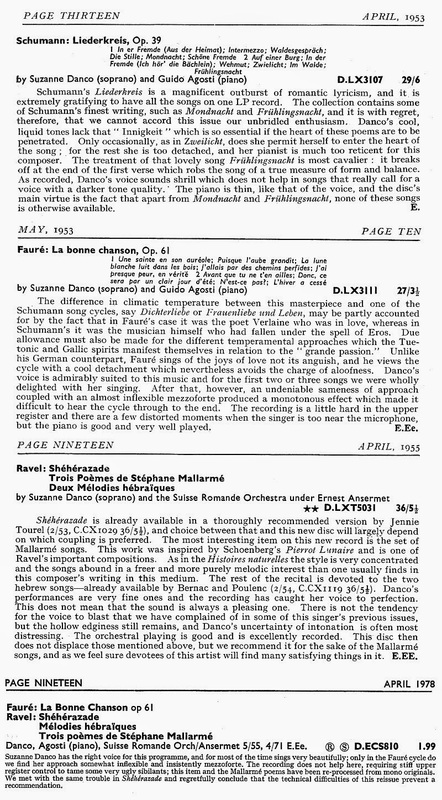 Not sure that I'll get-around to the 'promised' new transfer of Sheherazade - though may do a 24/96 (or 24/48) of some nice Ansermet mono's?